When Jane Hideko Higa arrived on campus in 1989 as a new dean, she set out to meet as many professors as possible. 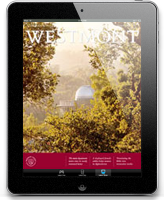 Once a Westmont student herself, she understood the key role faculty play in shaping students’ lives. Now, as vice president and dean of students, she sought their assistance in building effective student life programs. The partnerships she forged between faculty and student life staff have defined her career. Her legacy lives on in the students she has mentored, the staff members she has inspired and the professors who have embraced her vision of faculty and staff working together to educate students. Jane retires Aug. 31 as the longest-serving vice president at Westmont only to face a great challenge: a diagnosis of ALS or Lou Gehrig’s disease. She has already demonstrated her mettle in dealing with adversity. “One of the most profound ways Jane fulfilled her role as an educator was by modeling how to face life’s challenges,” says Tim Wilson, her longtime associate dean. “Realizing that life is difficult and claiming God’s promises provided through his word and his people, Jane taught the entire community—faculty, staff and students—through her transparency in dealing with cancer surgery and the sudden death of her husband, Paul. Those experiences deepened her empathy as she supported others devastated by family issues, illnesses and death in their own families.” Tim will serve as interim dean of students during a year-long, national search for Jane’s replacement. 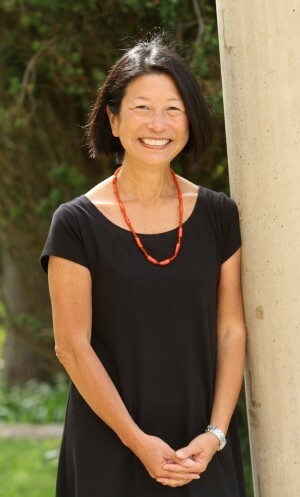 At Commencement, President Beebe announced the creation of the Jane Higa Academic and Co-Curricular Partnership Award for those who continue the productive relationship between faculty and student life staff she has cultivated over the years. After graduating from Westmont in 1973 with a degree in social science, Jane earned a Master of Science in education with a major in college student personnel services from the University of Southern California. She served for seven years as dean for student affairs and two years as dean of women at Biola University, where she first met Westmont Provost Mark Sargent. He describes her as a deeply respected dean throughout Christian higher education, who builds bridges between the academic and student life programs. Jane’s profound influence on people’s lives and college programs extends far beyond Westmont. At the national conferences of Association of Christians and Student Development (ACSD), attendees always surrounded her. “No one was more sought after for coffee breaks and meals than Jane,” Tim says. 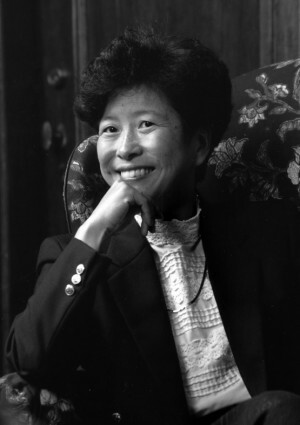 Her student life work earned national acclaim, and she received ACSD’s prestigious Don L. Boender Award in 1998. Jane has served on the ACSD executive committee as both vice president and president-elect, spoken at numerous conferences, chaired the planning team for the annual conference and recently served as the chair of the diversity task force. In 2011, ACSD honored her with its first Jane Hideko Higa Multicultural Advancement Award, which recognizes individuals doing excellent work in advancing multicultural competency. Barry Loy, vice president for student life at Gordon College, has worked with Higa for about 30 years through ACSD and the Council for Christian Colleges and Universities (CCCU). He says she often provides wisdom and advice on a multitude of student life topics for her colleagues from other schools. “Her faith is authentic and contagious,” he says. “She is a tireless worker for God’s Kingdom, her family, student development and Westmont. She continues to be an inspiration to me. I’ve especially been strengthened in my own faith and work by watching Jane deal with the ups and downs of life. She is a kind and gracious person always willing to listen and put others before herself. Jane’s retirement from the profession is a great loss, but she has and will continue to inspire many others to follow in her footsteps.” Jane also worked with CCCU as former chair of the Commission of Chief Student Development Officers and as a member of the Racial Harmony Commission. Beginning with Westmont’s 1995 long-range plan, Jane has led the college’s discussion on diversity. She served for years on the Diversity Committee and gently guided Intercultural Programs, reaching out to students of color and international, missionary and third-culture students. Committed to the “thoughtful and intentional study of and interaction with multiple cultures,” she has encouraged the Westmont community to celebrate diversity as an aspect of God’s creation. In the past 11 years, student diversity has increased from 15 to 29 percent, and Jane’s desire to make Westmont a safe place and home and for all students has played a key role in that success. While she set broad policies for student life at Westmont, Jane has also worked with students one-on-one, making time to mentor those who sought her out. “Sometimes Jane would eat five meals to meet with all the students who wanted to see her,” Tim Wilson says. 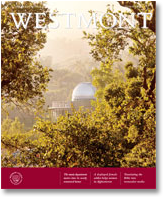 “The best part of my education at Westmont has been the mentorship by my professors in the communication studies department and the building of wonderful relationships through WCSA with people like Jane Higa,” says Kristin Lo, president of the Westmont College Student Association (WCSA) and former WCSA multicultural representative. Jane especially encountered students in the disciplinary process. “She approached student violations of college policies as redemptive opportunities to help young people grow and mature,” Chris Call says. Many vividly recall their first meeting with Jane. “I was initially struck by Jane’s warmth and hospitality, as she welcomed me into her office and into our community with a wide, gracious smile that still seems to accompany her wherever she goes,” Mary Docter says. “When I first met Jane, I thought, ‘This is a woman who makes people safe and allows them to be themselves,’” says Resident Director Shannon Balram. Jane showed her love for people in many ways, both on campus and in her home. She often tempted her guests with a variety of homemade desserts and connected with people who shared her love for food and hospitality. Jane has also invested in her family, including her son, Josh ’03, her daughter, Emiko Corey ’06, and her son-in-law, Aaron. “I’m proud of how they’ve grown up and all they are and do,” she says. Together they faced the sudden death of Jane’s husband, Paul, at 52. “We shared a wonderful marriage and priorities such as helping young adults reach their potential,” she says. Paul served as chief of probation for Los Angeles County. This summer, Jane married Jim Mannoia, who taught philosophy at Westmont before serving as vice president for academic affairs at Houghton College and president of Greenville College. “I’m grateful for a rich community of friends who’ve been constant and faithful companions, sharing food and fun and being present through all the joys and sorrows of life,” she says.